1 What Is a Smart Security Camera? 6 Should You Buy a Smart Security Camera? What Is a Smart Security Camera? A Smart Security Camera is a closed-circuit television (CCTV) camera that transmits a video and audio signal to a wireless receiver via radio frequencies. It is a camera that is used to monitor an area for security purposes. You can review the footage from the camera continuously to look for potential security breaches, or examined after the fact in the hopes of getting a glimpse of a criminal or a situation,some of them even have motion/human detect ability. You can use a security camera in a number of different environments in, and security cameras have grown increasingly common in many parts of the world. Although security cameras come in many varieties, they share some important features you should look for when choosing the right camera for you. A higher resolution means you’ll get a better overall picture. Don’t settle for anything less than 720p HD, but if you can find a camera with 1080p, you’ll be able to zoom in further and uncover more descriptive details, such as facial features or license plate numbers. Field of view refers to how wide of an angle the camera can see without moving. This generally presents itself as a numerical degree in the tech specs for each camera. An example would be 130-degree wide-angle FOV. The wider the FOV you can get, the better, but keep in mind it will vary drastically between types of cameras. A camera that can pan and/or tilt might be able to record a larger area than a static camera and, therefore, reduce the total number of cameras needed to observe a particular area. Motion detection does two important things. It triggers the camera to record activity when it detects motion, and it sends you a notification that something has happened within your camera’s view. These notifications and alerts can be particularly helpful with doorbell cameras and indoor cameras. A camera with good night vision range will uncover more activity in the dark. Look for a camera with a long night vision range (30+ feet indoors and 60+ feet outdoors) and multiple infrared (IR) LED sensors. The more IR sensors a camera has, the better it can reconstruct low-light images into clear video footage. Not all security cameras need to capture sound, but the ability to communicate from your smartphone to your camera with a two-way voice feature can prove useful with nanny cams and doorbell cameras. A camera that can connect to your home Wi-Fi network adds an extra layer of protection because an intruder can’t simply cut the wire and interrupt your video feed. Connecting to your in-home Wi-Fi also makes it possible for you to check in on your live video feed remotely. A high-quality security camera exists for every budget. Decide on a range you’re willing to spend, and you should be able to find a camera that will fit your needs. Keep in mind that higher-resolution cameras generally cost more. Wireless security cameras are easier to install than the wired alternative. Wired cameras must connect to your home’s electrical system, so you’ll need to hire a professional for the installation if you’re not familiar with how to do it. Wireless cameras, however, rely on Wi-Fi or other networks. Follow the instructions, and you can set up and connect most cameras yourself in less than thirty minutes. Wireless security cameras are often more ideal for renters, people new to home security, or those on a budget. Not only are wireless security cameras less expensive than wired systems, but they’re also easier to move and transport. Additionally, if the camera is completely wireless, it’ll need to be powered by a battery. If this is the case with the model you choose, you’ll need to make sure you replace the battery before it dies. Lastly, a wireless camera generally can’t be too far away from the main hub. If there’s a direct line of sight, a wireless camera’s range can reach up to 500 feet or more. Within a house, the range is usually lower—around 150 feet—though not always. The signal range depends on a few factors, including your home’s building materials, other wireless devices in the area, and any walls or objects through which the signal has to pass. Standard drywall and glass windows might not impact the strength of the camera’s wireless signal, but brick and concrete will. If there are brick walls, concrete floors, and large trees in between the camera and receiver, your signal strength will likely weaken. We’re showing following wireless security cameras as examples of indoor and outdoor models that you can choose. They offer different features in a wide price range, so you can see what’s available today and choose according to your needs. Nest IQ cameras come with built-in Google assistant and work with Amazon Alexa. You can ask Google questions through your camera or control it with your smart home device.Nest Cam don’t have built-in Google assistant model,it only have a built-in speaker and mic,so you have to purchase Google home to enable Google assistant on Nest IQ cameras. While Nest security cameras are affordable and come with many features, they are more expensive than other models on the market. 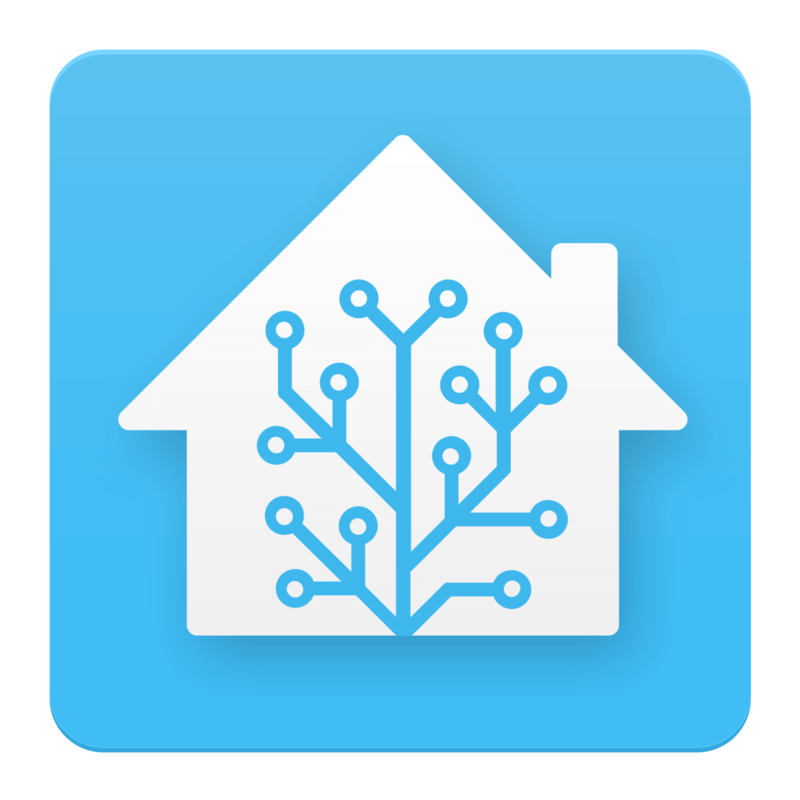 You also need to pay for a Nest Aware subscription to gain access to many of the advanced features. With a Nest Aware subscription, for example you can review your camera’s footage for the last 5-30 days, depending on the price you pay. Without a subscription, Nest only saves your footage for three hours. The Nest Cam Indoor and Nest Cam IQ Indoor models are the easiest to install. You don’t need to make any holes in your walls or attach them with anything stronger than the built-in magnet. If you don’t want to affix them to something metallic, stand them up on a table or bookshelf where they can view your entryway or other important areas. Though they’re connected to the internet wirelessly, they plugs into an outlet rather than using batteries. That way, you’ll never have to worry about missing something because your batteries went dead at an inopportune time. When the Nest Cam Indoor senses motion in the area, it will send a notification to your phone. You’ll be able to see and hear everything that’s happening. You can even speak through your phone and have your voice come out of the camera’s speaker. It’s perfect for warning thieves to leave. And if you’re training your daughter to stay out of the cookie jar, you can give her the correction she needs. With 8 infrared LED lights, you’ll be able to see what’s happening in the dark clearly. Whether in the daylight or the dark of night, thieves and other troublemakers don’t stand a chance. Check more details The upgraded IQ model gives you a louder speaker to warn off intruders or correct your dog. It can also tell the difference between a person and other motion passing in front of the camera. That way, you won’t get notifications from a breeze or your cat walking around at home. When you do get an alert, you can use the camera to zoom in so you can clearly see who is in the frame. The two outdoor Nest models are just as easy to use. They’re weatherproof and plug into an outlet so you don’t have worry about them shorting out or going dead due to low batteries. You can use an outdoor outlet or route the cord through the wall to an indoor power source. Check more details With the Nest Cam Outdoor model, you’ll get a notification when someone is in your yard. That way, you can use the speaker to warn them off before they cause any damage. You can also zoom in on them to help authorities and your neighbors be aware of who might be looking to break into other homes. You can also use it to talk someone outside the door or gate before you open it. Check more details Nest Cam IQ outdoor With a more powerful camera than the regular Outdoor Cam, the IQ model lets you see intruders up to 50 feet away. You can also zoom in on them to make sure you see who it is or capture the best picture possible for authorities. Check more details With Amazon Alexa built-in and Home/Away on the Amazon Cloud Cam, this is your best choice for monitoring your home when you’re at work, on a business trip, or simply out for the night. Like the Nest models, the Amazon Cloud Cam will send you alerts on your phone when something passes in front of the camera. It has two-way audio so you can listen and talk through the speaker. It provides night-vision clarity, and you can review up to 24 hours of footage in the cloud. That’s an advantage over Nest who only gives you 3 hours without a subscription. The Amazon Cloud Cam plugs into a power outlet, so you won’t need to worry about replacing the batteries. It’s only disadvantages are that it doesn’t mount magnetically (you have to stand it up) and the speaker is not as good as the Nest models. Amcrest Pro HD Outdoor Offering the best picture quality and longest range, this cam is certainly a viable alternative to the Nest Outdoor choices. You can control it with Amazon Alexa and it comes with 4 hours of cloud storage, so you can review what happened if you miss the alert on your phone. You can also record footage onto a MicroSD card installed into the camera. Unfortunately, this option doesn’t record sound or allow you speak out of it. It is for visual monitoring only. The Yi Home Camera 2 doesn’t have the best camera for daytime use, but its night-vision stands above the rest. And besides motion detection alerts, it also features noise alerts. You’ll get a notification when it hears the baby crying or glass breaking or any other unusual sounds. You can also talk back through the speaker. Plus, you get 7 days’ worth of cloud storage for free. If you’re looking for a simple model that still has all the important features, this could be your best choice. Arlo security cameras by Netgear are designed for indoor or outdoor use. They’re battery-powered, unlike the rest of the models on our list. They only turn on when the motion sensor activates it. It sends you alerts with footage to your phone and stores footage in the cloud for 7 days. The Arlo also works with Amazon Alexa. It does not record or transmit sound. Should You Buy a Smart Security Camera? Home security cameras and camera systems provide an extra layer of protection to your home and can act as excellent preventative measures against break-ins. Wireless security cameras are a good choice to add to your home security system as they offer you 24/7 viewing access to your home, no matter where in the world you are. They’re also easy to install and quite affordable.